It is an old ditty about the city and Boston has certainly changed since those days. This old town is a metropolitan area with tens of thousands of young people living and going to school in the area. They have diverse occupations which range from retail to software and social media management. Boston is very exciting town to live in, but it also has the challenges of the modern world. A group legal plan or the ability to access financial wellness service helps. There are lease agreements and warranties that need to be understood, and working with public agencies is not always easy. That is in addition to a lot of other situations where a sound group legal plan is going to help. A group legal plan has a number of benefits which can help any employee deal with legal problems. These pre-paid legal services cover a number of areas such as ID theft, immigration issues, and dealing with public agencies. Drafting a will might seem a bit odd for a person in his or her twenties, but it is a sign of wanting to be sure financial wellness stretches to the estate. It's also a sense of adult responsibility which many new employees want to show. Countrywide Pre-Paid Legal Services has developed group legal plan benefits since 1987 for various organizations. We want to help Boston employers provide excellent benefits for their employees. We have a standard list of benefit options, but we offer something that's a little bit more than the usual. Countrywide is a firm believer in client service, and our other group legal plan items demonstrate that. Being able to have a face-to-face consultation with the Countrywide attorney is possible. The attorney will also make telephone calls and write letters on legal stationery for the client. These attorneys are not located somewhere in Vermont or Maine; they are right in the Boston area. It helps because they understand how public agencies work. They can provide that extra help which sometimes is so very important. Financial wellness in particular is something a recent college graduate worries about. It is not, however, just a concern for any young person. Many older employees struggle with credit card debt and trying to establish a reasonable budget. We offer financial wellness assistance with counselors who are well experienced in dealing with debt. They can help any plan member come to grips with the money, and arrive at solutions that are manageable. Whether it is pre-paid legal services or financial wellness, Countrywide does its best to respond to the needs of a given client. We have worked with organizations of all kinds since 1987, and we know that every client is unique. Consequently, any plan sponsored by Countrywide is tailored to the wants and needs of the given client. We also have administration that is as efficient as possible. We do all this to make sure that employees receive needed legal or financial wellness service, and get it without having to wait very long. It is our commitment to the client and the hard-working employees work for that organization. 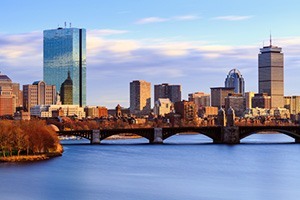 Boston is a cultural and education center for the Northeast. There’s a great deal of opportunity and a very high standard of living. The right type of benefits will make being a Boston resident that much more enjoyable. The assistance given by employers will also relieve much of the stress and anxiety people experience. Countrywide wants to be of assistance. We seek to help an employer reward staff productivity with the kind of benefits that are usable, and effective. We have quite a few options from which to choose and you may have some questions about. Do not hesitate to get in touch with us about all of our services. We welcome the opportunity to explain more how we can provide the right assistance at the right time.